Fresh food produce, it’s here! Apart of this “let’s eat” 9-month series, I’m making a stop at my local grocer each month to pick up the next seasonal produce in line and discovering ways to experiment with it. Saute, bake, or in a salad? There are so many methods. Let’s see how they each go! I’m a newbie with the ol’ fish markets. All I know is that fresh is delicious raw, and a good go-to is steaming up a white fish with ginger, scallions and fish sauce. With some research to this newest introduction of Sockeye Salmon, I’ve found that sockeye is the premium of all salmons. High in all nutrients, they have high fat content, a proposed cleaner flavour and firm texture. 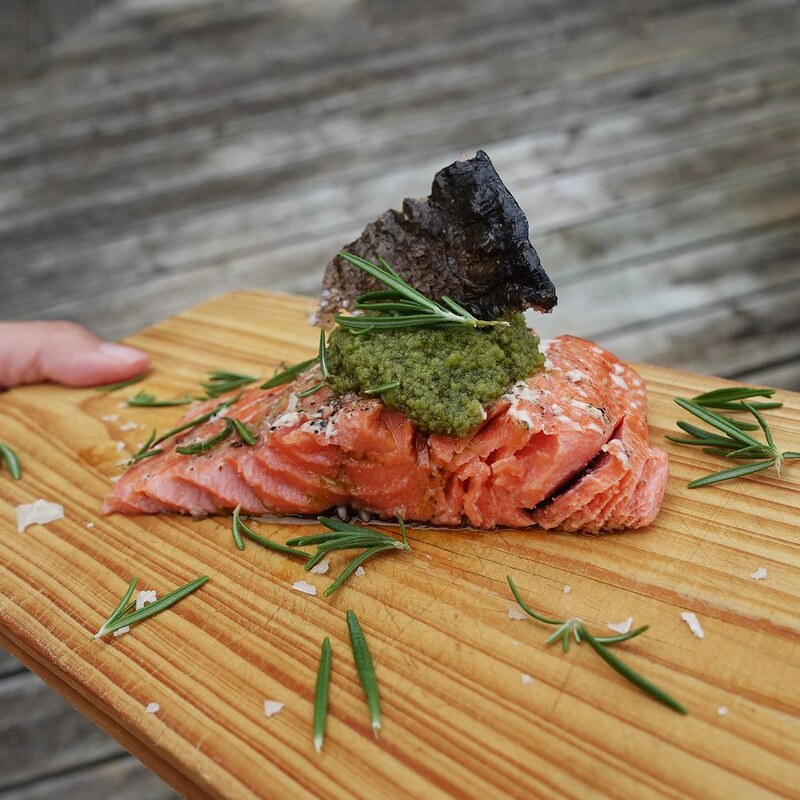 Availability of this king of salmons is May through August. With such a great quality fish, it’s important to let the flavours of the meat shine itself, not much seasoning is required. 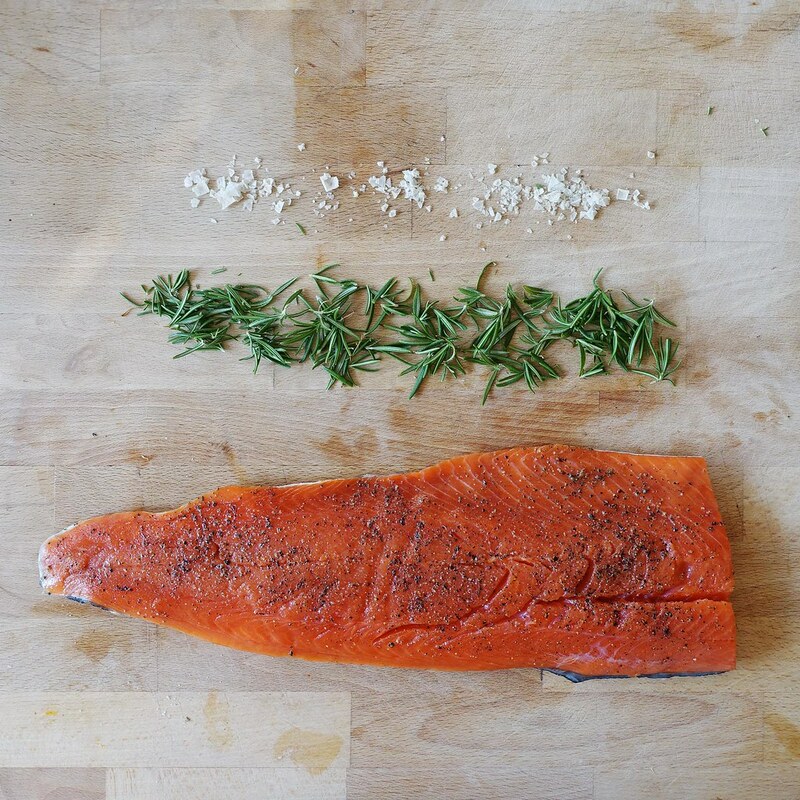 When I initially laid out the fish, I scoured the house for fish seasoning and cumin… Then cut it back to my new rosemary sea salt, pepper and an aroma of rosemary. The weather was beautiful, and it was a day to grill! 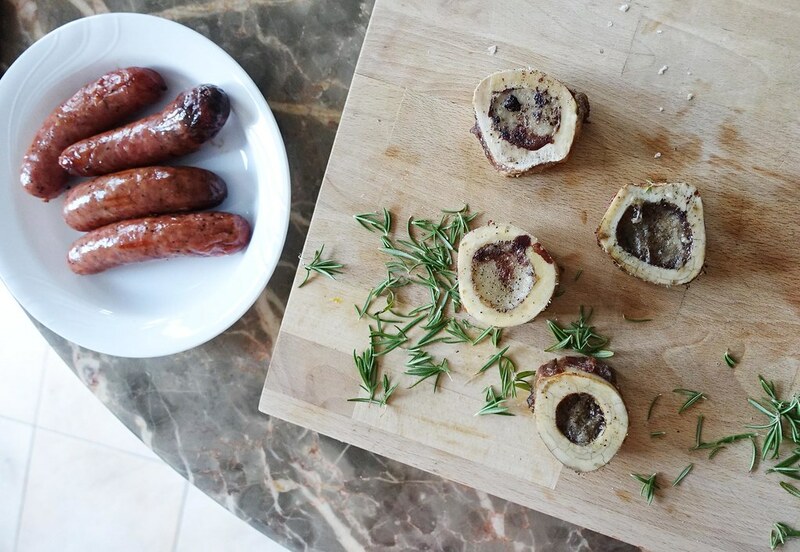 Along side, if all doesn’t go well, we have bone marrow – cooked as is without any seasoning, and some sausages we grabbed from Taste of Toronto over the weekend. 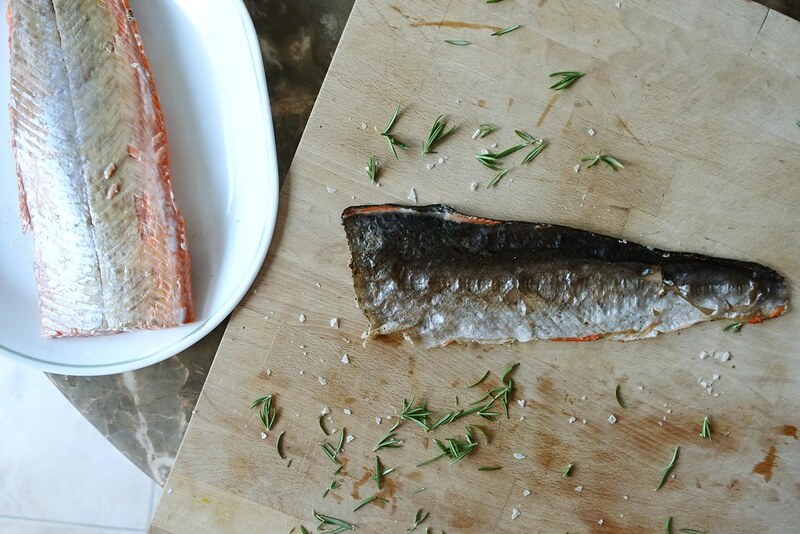 We did a quick grill until just-cooked, then separated the skin from the fish itself to allow it to crisp up and not become soft with the rest of the moist fish. This was a brilliant move, as we snacked away at the skin and broke apart at the soft flesh of sock eye itself. 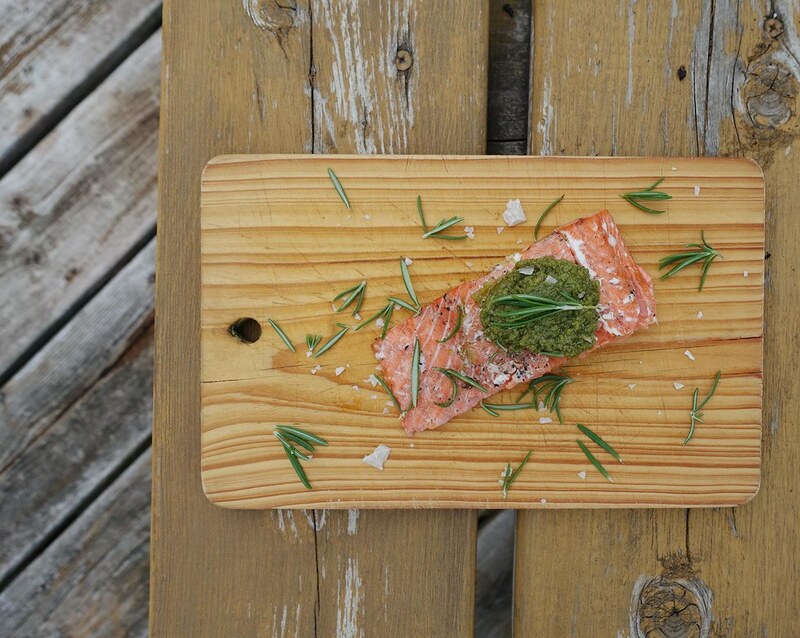 To swipe the fish, we used out wasabi pesto sauce which was received as a gift from Te Restaurant on Ossington Avenue.